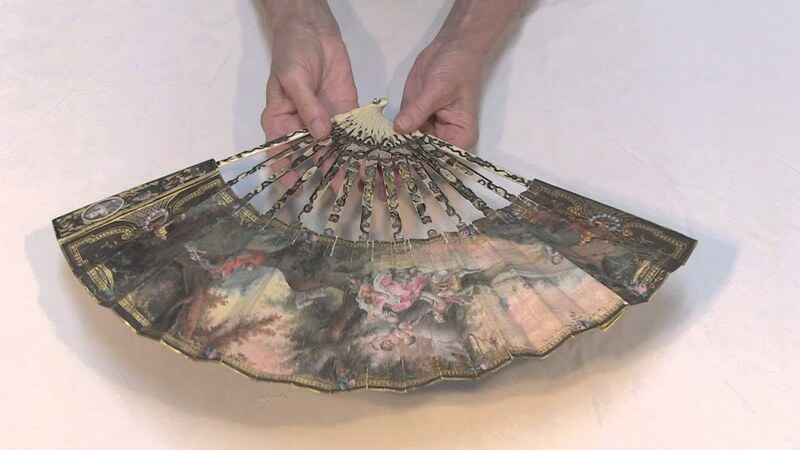 Demonstration of an unusual fan from the Cooper Hewitt Museum collection. 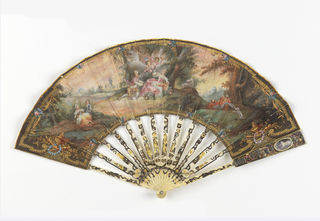 The fan is shown opening, closing, and two mechanical portraits are shown in operation, showing a tiny man and woman waving their own miniature fans. The portraits are painted in the "guards" of the fan and protected with glass. parchment leaf painted with gouache; pierced and gilded ivory sticks with glass. There are 9 images and 1 video of this object.